There are six different levels of curriculum. We had access to all 6 levels as we got started. We found that Indigo was the best level for my 13 year old. It is the highest level, rated at a 5th grade reading level. We had 4 weeks to look through the various levels before we chose which one we would stick with. Each week I would download the weekly guide. It lists each project that the student will be assigned for the week. It is 5 pages, so you can either download and print, or just have it downloaded to refer to. It helps give you an idea of what is expected for the week. Helpful especially for us as we don't have traditional school on Thursdays, so my daughter has to factor that into finishing up Thurs work before the end of the week. The weekly guide also indicates which handouts are needed printed, and the materials list for the week including the books you need to have on hand. Thankfully when we weren't able to find the book from the library, a youtube video was provided with the book being read to her. Read Aloud : The student will either read the suggested readings, or if you are having a hard time finding it, they have uploaded videos of them reading the book to the student. We were able to find just one of the recommended books so far. They do re read the book, which my daughter wasn't really interested in, but I told her she may catch more out of it the second and third time around. Literature/Comprehension ; There is usually an imbedded video to watch in this section that will explain the context of the activity. This category to me was really the meat of the program. This is where the student is learning how to talk about what they are reading. To analyze it, and utilize worksheets to better explain what they are reading. Writing/Grammar; This is set up in a writing book you make. This is sometimes asking questions of the reading and responsively writing to it, and sometimes it is just a free writing for a certain amount of time. Phonics/Word Study/Vocabulary; This keeps the same word study for the week, and introduces a list of vocabulary that go together, like having the same root word. There are games and activities to play with the words, in addition to writing sentences and learning the words. Computer Skills is often doing your writing and journal on the computer. Good for them to get in the habit of writing with the computer and learning to type. Independent Reading is reading for 30 minutes and can be anything you or the student choose. There are no other requirement. 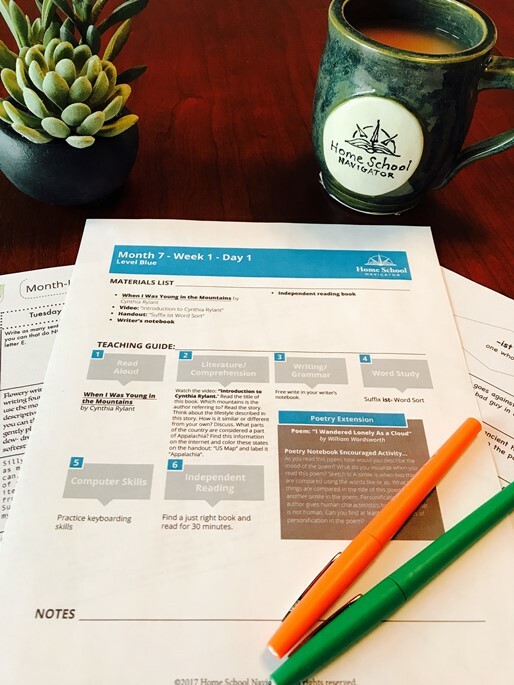 If you live in a state where you need to prepare a portfolio for review at the end of the year, there is a great option to upload their work each week and then later print out. This is really helpful for keeping the language part of the portfolio up to date. 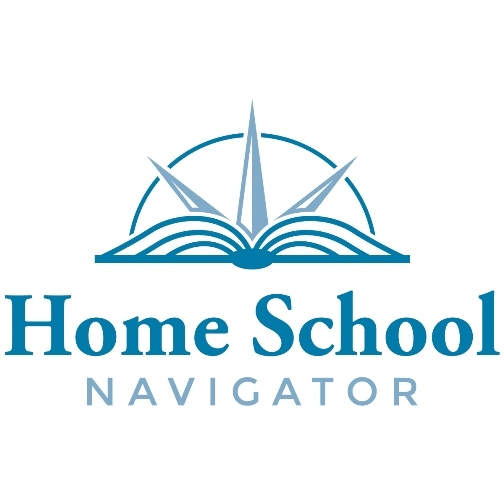 In addition to the Reading and Language Arts Curriculum, Home School Navigator also has Interactive Notebooks for the older levels. I had really wanted to do this with my daughter, but a death in the family threw us off track with it. The interactive Notebooks remind me of a lapbooking style where you are making little booklets about the story. The book in the Indigo level is Holes by Louis Sachar. There are 9 months worth of weekly language arts and reading. They are divided up into months, and then into weeks. Clearly enough for a year long school year. We were generously given a one year subscription for review, and I have found it really has helped my daughter have a clearer vision of what she needs to do daily. I am not a great planner, and with home educating three other students, it helps to have her be able to work independently on her language arts.